It was a blustery day when we arrived in Wellington, New Zealand. As usual, we only had a short time to shoot b-roll for our documentary assignment. However, we knew we were close to Weta Studios. You can’t, you just can’t come to Middle Earth and not stop by Weta. By the time we got there, the studio was closed. No tours available. But, the light was right, the scenery was incredible and this lighthouse led the way. 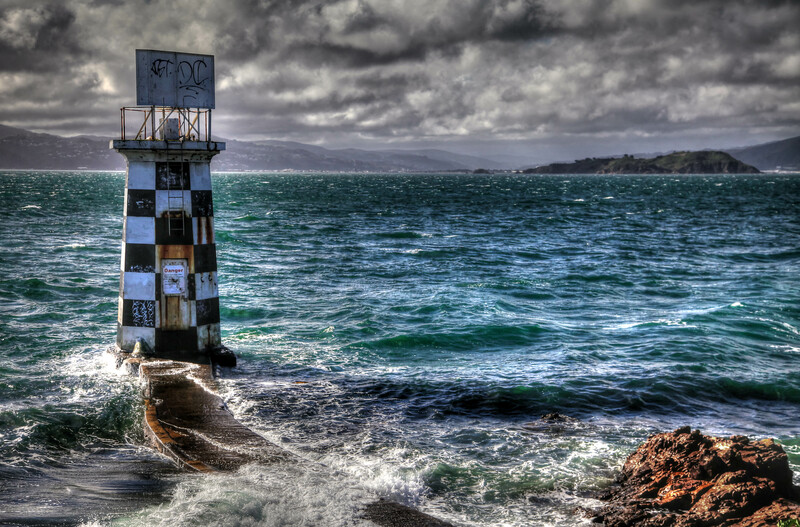 Near the entrance to Wellington harbor, this rusty lighthouse warns wandering sailors away from perilous rocks.